When preparing the article Introducing the New 2012 Directors, it was brought to my attention that I had neglected to post the biographies of the board members who began serving in 2011. Here, to correct that omission, is a bit of background on Sandy Fryer, Lisa Gorrell, Laura Lee Karp, Henry Snyder, and Jim Sorenson. Sandy Jones Fryer has an engineering degree and worked for a large corporation before running her own business. She's been interested in family history since childhood when a sixth grade teacher assigned her class to research their ancestry and prepare a family tree. Since her retirement, Sandy has had more time for volunteer activities and genealogy. She attended a class at CGS during Family History Month in 2006 and immediately decided to join the society. Within a short time she started volunteering and since then she has worked in many different capacities in the library. 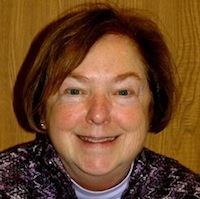 Sandy was appointed to fill a vacated board position in 2010 and was elected to the board in 2011. She served first as Treasurer and is now the board liaison to the Membership Committee. For nearly twenty years, Lisa Gorrell has been researching her children’s family history. 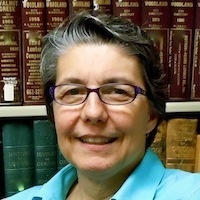 She has authored two family genealogy books after writing a multitude of letters, researching in libraries, and traveling every couple of years to the Family History Library in Salt Lake City. 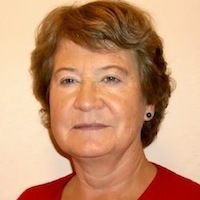 Lisa has held leadership positions with several Bay Area non-profits and serves as treasurer and secretary of the Contra Costa County Genealogical Society. Prior to her retirement in 2010, Gorrell was employed as a BART train operator and trainer for thirty-two years. She holds a teaching credential from Cal State, Hayward. Lisa has been member of CGS since 2004 and began volunteering as a member of the Events Committee. She is currently a board officer serving as recording secretary since her appointment to fill a vacancy in March of 2011. Laura Lee Karp inherited her interest in genealogy from her grandmothers and the stories they told. Her full-time pursuit began in 2007 with a trip to Houston and Galveston Island, where in 1900 the historic hurricane claimed the lives of half of her grandfather’s extended family, when he was only twelve years old. To prepare for the journey, Karp signed on for a two-week trial of Ancestry.com and was hooked within ten minutes. Laura Lee is a Certified Public Accountant who had a career in finance and accounting. After retirement, she and her husband relocated to the East Bay from Virginia. She holds a B.A. in history from Mary Washington College and has shared her expertise as a volunteer with several organizations, including CGS. Laura assisted the society’s treasurer before assuming the office herself when she was elected to our board of directors in January 2011. 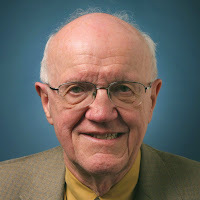 Henry L. Snyder is the former director of The Center for Bibliographical Studies and Research (CBSR) at the University of California, Riverside, where he led the California Newspaper Project from 1990 through 2009. A scholar in the field of British history, he earned B.A., M.A. and Ph.D. degrees at the University of California, Berkeley. Dr. Snyder is the author of numerous articles and texts and the recipient of honors including the National Humanities Medal in 2007. After his retirement in 2009, Henry joined the California Genealogical Society and has been pursuing his Gold Rush era California roots. He's learned that he inherited his love of newspapers from several of his ancestors. Henry was appointed to fill a vacated board position in 2011 and serves as director liaison to the Library Committee and sits on the Publications/Marketing Commitee. Jim Sorenson is a fourth generation Californian who has been actively pursuing genealogy since 1994. His quest has taken him to courthouses and libraries in twelve states and to Sweden, Denmark, England, Wales, and Ireland. Besides filling in gaps in the family trees of his wife and daughter-in-law, he has found a rewarding interest in doing research for friends and strangers. He has a B.S. in business management from Cal Poly, Pomona and M.B.A. from USC. He retired after thirty-eight years with Lockheed Martin having worked in the overhead budget, financial forecast and government finance arena. Besides genealogy, his hobbies are travel and photography. 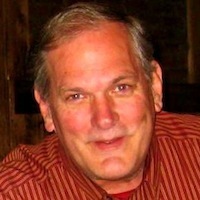 Jim is a member of the Website and Research committees and recently spearheaded the Insider’s Guide project. He was elected to the board of directors in January 2011 where he serves as liaison to technology.